The Petroleum Commission will begin a road show in September to reach out to more international oil companies to participate in bidding for the nine oil blocks when tendering for them begins in November. 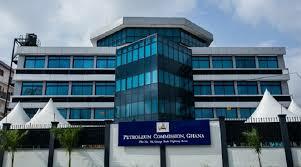 Head of Legal Services at the Petroleum Commission, Kwame Bona Siriboe stated that six of the blocks would be awarded through competitive bidding, one awarded to the Ghana National Petroleum Corporation, GNPC, to operate with a strategic partner while the other two would be awarded to an operator through direct negotiations. “This year’s licensing round’s focus would be on the western basin because of the existence of infrastructure, including two gas pipelines to the shore, three production facilities with a fourth FPSO in the offing by 2021,” Minister of Energy Boakye Agyarko said recently in a statement. Government has named a 23-member committee to oversee the allocation of oil blocks to local and international companies through evaluation and negotiation.